They discuss possible barriers for traders searching for a system and how you can get around these issues. Walter suggests looking at “categories” and Darren talks about traditional trading ideas and building clarity around your core beliefs. You need something that doesn’t exist. [Click To Tweet]. Come out with your own ideas. [Click To Tweet]. Look for simple turning points in the market. [Click To Tweet]. Walter: You have more volatile days when the market goes farther and farther away from the mean than would be expected by normal parametrics statistics which is basically what everything in the world is based on. From the bridge that you drive over to the drugs you eat. It’s all based on statistics, right? Walter: We’ve got a question here from a listener. I cannot find the right trading system of my own. We’ve talked a little about this in the past about this idea of — I think I’ll look at it a little bit different view but it’s the same idea where I say find the trading system that fits your personality. You talked a lot about or you have talked about being aware of the pressure that the trading system places on you as a trader which I think is a really good way of looking at it. So, what do we say to this trader who cannot find the right trading system? Darren: I think it’s a pretty common problem and it’s not an easy one to give advice on, really, because a lot depends on the individual trader. A lot depends on how long you’ve been trading. Sometimes, you might abhor the famous system but you are just applying it wrong. It might be that you’ve got a great system but it is just not been in the right market condition for it. I think with all of these things, experience and time is going to help a lot. It’s just much harder to get to that point when we think and I think we have to put in much more work. It’s not just about time and work, it’s about the right sort of work. It’s about studying what was working on a strategy and what was not working and finding out what the reason was. Was it you that was making an execution mistake? Was it the wrong market conditions at that time for that particular strategy? Did you even run it over a long enough sample? All of those things are, I think, they are hard to learn. There isn’t a great deal of information about them and even when you know those facts, you are going to find yourself trying to get in the way of them because, generally, we believe it’s easier than it is. It’s really a difficult place to get to and I know really good, intelligent, smart traders who know a lot about trading and conveyed to you the real core of what makes profit and what doesn’t. At the same time, unable to find something that works for themselves. I’ve seen guys go around the block for years and literally end up back where they started and just reapplied it with that kind of added knowledge and experience and learning and then they’re finally getting to making it work for themselves. I think if you haven’t been trading too long, do not put too much pressure on yourself because coming up something like that in a year, or even two years, most people don’t do it that quickly. Walter: Yeah, it’s true. It’s so true. I think if we are to break it down analytically, would you agree that you could place most systems into the categories of either trend following, swing trading, breakouts? Or you can say, counter trend, reversion to the mean, scalping? With the sort of these broad categories that maybe, that might be one way to approach that we go, “Well, trend following makes sense to me”, so then maybe you’d narrow it down. That might mean finding somebody out there who trades in that manner whether they are like a public figure or just a private trader and they’ve kind of trying to pattern yourself after that trader and add your own little pieces and your own little tweaks to it. That could be another approach where you just start with the broad categories. Like you’ll say, “Okay, breakout trading, now that makes sense to me. Now, how am I going to narrow it down and find a breakout system that I like?” That is another way, I suppose. It’s sort of like picking your wife or your girlfriend or your friends where you find one that really where you’re kind of like, “Yeah, that is something I like. That is the one that I am into.” And, you could start there. That might be an easy way to narrow it down. Obviously, once you’ve been trading for sometime, you probably have more than one system but in the beginning. The biggest deal I think is just becoming an expert at one thing and that is the critical. I guess, that is a critical piece for trading, really. It’s getting to the point where you feel really solid with a system and you’re confident in it and from there you could build on that but that first take on trading is so difficult for so many traders. At least, it was for me. Darren: Yeah, definitely. For some people, you need something that doesn’t exist, if that makes sense. I think, for some people, trading in a manner that they’re told is a good way to trade. Something that already exist like trend trading or breakout trading, it might be that for certain personalities that is not the way to approach it. Certainly for me, I explored all of those elements and then in the end, I found that what was difficult was what I was seeing was not matching up with what I was being told. For instance, let’s say, candlestick patterns. For example, when I look at candlestick patterns, I just think that it’s totally random and basically, for me, it’s just visually appealing. It doesn’t really mean anything on the outcome. We can argue if that’s whether or not but if you’ve got that feeling inside you, there’s no point trying to trade candlestick patterns even if they work. At the same time, you could statistically prove that Fibonacci levels mean nothing but you could use Fibonacci levels to trade profitably. For me, that just started me thinking about trading in a different way. In the end, I said, “Okay, let’s imagine that everything that’s written about trading is much true seems wrong, what do you think? How do I think that I can make money out of this?” And I built my strategy around that. There’s elements of all those traditional trading ideas in there but I’ve started it from something that I felt comfortable with, something I believe in rather than trying and sort of build around something that I was being told works. In the end, that helped me, that worked for me. I think we get sort of — not bullied — but we get influenced to believe in certain things and deep down that might really not be you. Sometimes, you go about the trend of it and just come out with your own ideas. Walter: Absolutely. So when you’re sort of building your system, how did you approach it? Did you look at the chart and say, “This is something that I notice that keeps happening” and then you build it from there? Or did you say, “Well, I want to take a chunk out of moves like this so how do I do that?” What was your starting point? What was your inspirations for the core idea, I guess. I have this picture in my mind of this guy, this trader “I cannot find the right trading system” and he’s sitting there with a pile of trading books and a bunch of charts and different indicators, he keeps taking on and off his charts. Just flooded with information. Doesn’t know where to start. How did you start? What did you do? Darren: I think a lot of trial and error, and a lot of failing, and a lot of making the same mistake over and over again. It’s just about switching your brain into thinking slightly differently. For instance, you trade outside bars and you run a test on a hundred outside bars and it looks great. Then, just go and run that test on the bar after it and the bar after that and the bar after that, the next four bars and see if there’s really was anything in the outside bar at all. I am pretty convinced that you’ll probably find that some random shared bar that has no particular pattern at all, probably performed better than the outside bar. I’ve just started looking at it differently because you find yourself focusing on specific things and sometimes missing the big picture. It’s difficult to do that. I mean, that’s what worked for me in the end and I think it’s because I built my own beliefs into it. It might not be any particular edge. I’m just making it work for me and sometimes that’s the right way. Walter: Yeah, that is interesting. I have a similar story where there’s a lot of… In trading, you’ve got a lot of statistician to come in and they are doing their algos and stuff like that and they create indicators. For example, the Bollinger Band indicator is based on standard deviation. 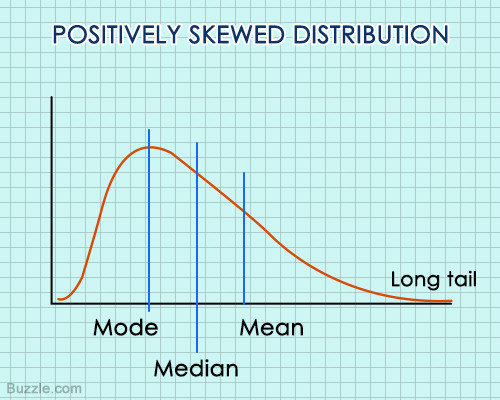 Standard deviation is just a fancy term for how far does the data move away from the mean? We all know what the mean is. The average, right? So, the standard deviation is a measure of spread. How far on average do these data spread away from the mean? You’ll hear like regression analysis and Bollinger Bands. There’s a lot of things in trading that are built on these foundation of statistics. My belief has always been that the market don’t follow a normal standard distribution. In other words, we don’t see the markets have the right amount of spread in terms of how far does the market go in any given day. I did a study recently on the Swiss Franc. This is the question I had. I think it was like 6 years, 2010 – 2016 or something like that, it was either 6 or 10 years. Anyway, I think it was 6 years. What I did is I looked at the weekly movement of the Swiss Franc. My theory, my hypotheses was that what we would find is that, on average, the Swiss Franc did not move as far and as quickly as we would expect on any given week according to the rules of statistics. Statistics says if you take a sample of anything, what you should find in that sample — it does not matter how tall people are, how much they weigh, what their IQ is, whatever., If you take a sample, what should happen is you end up with that normal bell curve. 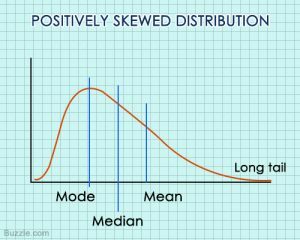 That bell curve is defined by the mean in the middle and the standard deviation which basically tells you how much it’s quashed. Is it more upright bell curve or is it like more of a fat quashed one? Basically, I did this and what worked out was that looking at the extremes… Because my belief is that you have — and this is really important when you are building a trading system — this core belief of mine which is that you have more volatile days when the market goes farther and farther away from the mean than would be expected by normal parametric statistics. Which is, basically, what everything in the world is based on. From the bridge you drive over to the drugs you eat. It’s all based on statistics. What we found is that we would expect to see the market go beyond 3 standard deviation from the mean. This is really, really far away from the mean, so very volatile week. I think we expected it to happen 1.4 times or something like that on the 6-year period. It should happen basically one or two times. Any guesses as to how many times the weekly movement in the Swiss Franc was actually well beyond 3 standard deviations? Any guesses? Walter: Yeah, an easy one. Of course, a lot more. What we found was it was 5. It should have been 1.4 or 1.6, something like that. I can’t remember exactly what it was but it was 5. It’s almost a 300% increase. Not only that but if you look at the other side of the bell curve where you would expect to see weeks where the markets doesn’t really move that much at all. In other words, the volatility is really, really minimal. There were very few of those. What we have — and I’ll post the image in the show notes for the listeners. So what we have here, when we look at at least Swiss Franc — and I would argue that all markets have this. But, anyway, the point is at least with the Swiss Franc, what we have in this 6-year period, we can’t speak to the other years. What we have is a situation where it is less likely that the Swiss Franc, the CHF/USD will move in a manner where there’s very low volatility as would be expected if it were a normal distribution of volatility. Instead, we have what was called “the fat tail”. You heard us talk about fat tails. It’s like this term that’s come into popular culture. We have this fat tail in the market of this Swiss Franc where we have way too many volatile weeks than would be expected on average and we have too few low volatility weeks. To me, what that mean is if you are a trader, you’ve got to look at that and say, “How does my system take advantage of that?” The only way I know how to do that is to use a trailing exit or to use a system where you are at position as where the market goes in your favor because this might be that week which really is going to move. These are the sorts of things that I think makes sense to me and that is my approach. I don’t know if that makes sense to the listeners but its basic idea is, “Look, the markets move faster and farther and more volatile than we expect.” And so, a lot of what we do as people and as traders is we anticipate something that is a little less than it’s going to be. We anticipate that it’s not going to be far this week, it can really go far this week. Those are the sorts of things that I think we have to keep in mind. Darren: Yeah, that’s it. It’s finding that characteristic of the market that you can explore. A lot of approaches don’t really take that stand point when describing how they’re going to trade. It’s a much more case of if A happens and gets to here then, it will go to B. It is much more of predicting what is going to happen based on a specific sequence of events. I think you can make money that way but I think it’s really the difficult way and it’s not the only way and seems to be the most profitable way. Not profitable but most popular way. I think sometimes you need to look at the market in a different way. Walter: Yeah. Just start with your core beliefs like your core belief is — pattern is — BS. These patterns on the charts are complete BS. So, how do I take advantage of the movements on the charts? Which I think is basically to — if I were to say it in another way probably not in the way that you would say it but I would say — is just to take a look for simple turning points in the market. It doesn’t really matter what the pattern is. It’s almost like you are trading the line chart, really. I don’t know if you’d say that but would you say that? Darren: Yeah, definitely. I only use candlesticks now because it basically decides where I am going to put my entry point and my stop loss. I don’t think that they are significant at all but it is just structurally easy for me to do. I prefer to trade it as a line chart but then I would have to come up some sort of way of deciding when and where. So, I really only use the candlesticks for that and their shape and their color, it is not going to decide if I make money or not. That is decided after I am in the trade. I like this idea that the market — well, not this idea — I like this movement in the market where the price moves and then it pulses and goes sideways and then it moves and pulses and goes sideways. I just want to find a way to make money out of those movements and they happen all the time. Every week, there’s 2 or 3 movement so I just need to kind of, “Okay, how do I capture 2 or 3 of these big movements and not lose too much when it is not moving? Darren: Just a different mindset. Walter: Exactly. So, your whole belief is that you will make money on the exit and the entry is not that critical. One of my core beliefs is that the market is going to move much farther than people expect. It’s more volatile than people expect. So, building on these core beliefs, I think is a great place to start when you are looking at starting your trading system. Hopefully, that helps this listener that might something to build on. That’s basically it for my thoughts, Darren. I’m tapped out. What about you? Darren: I just go back to the first point I made, really. I don’t know how long you’ve been trading but it might just be a case of you are expecting to get to too good too quickly and you might just need a bit more time and a bit more trial and error and experimentation. Walter: Absolutely. Thanks for your time, Darren. I am looking forward to hearing from you next time. I’ll see you soon. Darren: Cheers, Walter. I’ll speak to you next week.